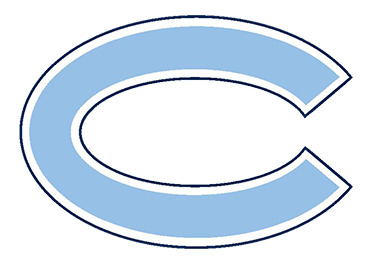 After allowing Richard Montgomery to scrap out an early 4-1 lead, the Clarksburg JV Baseball team settled down defensively and found their groove offensively leading to a 12-7 win. The Coyote defense made three throwing errors in the first two innings which could have resulted in outs at the plate. Instead, three unearned runs scored allowing the Rockets to take advantage against freshman pitcher Daerek Sawyer. Sawyer threw five tough innings giving up 2 earned runs while striking out 4. In the second, RBI singles by sophomore Hunter Marsh and Daniel Parry allowed Clarksburg to close the deficit to 4-3. After RM added another run in the third, the Coyotes tied it thanks to a leadoff double by sophomore first baseman Kyle D’Attilio, an RBI single by sophomore Sean Carrier and an RBI double by Marsh. Then after shutting out the Rockets in the fourth inning, Clarksburg broke the game open. Back-to-back doubles by sophomore infielder Nick Shifflett and freshman outfielder Gabe Torres gave the Coyotes their first lead of the day. With the bases loaded, Carrier was hit by a pitch which scored a run and then Marsh cleared the bases when he hit a single to center that went under the defender’s glove clearing the bases. Marsh had 5 RBIs on the day and Carrier had 3. After extending the lead in the fifth, Torres relieved Sawyer and worked around some command issues (allowing two earned runs) before fanning the final batter of the inning. The game was then called due to time limits. Clarksburg will look to finish their division matchups Wednesday at Wootton at 3:45 pm.